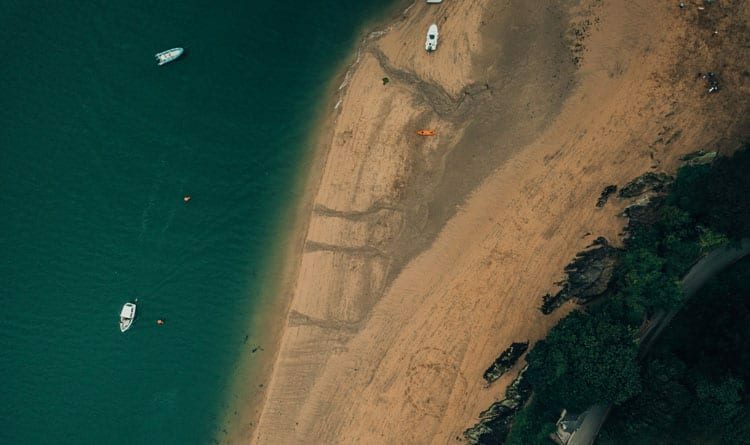 Visit Salcombe and chances are you’ll never want to leave. Beautiful beaches, fine seafood and some of the most luxury holiday homes in South Devon make it a dream destination. In addition to this, there are plenty of unique South Devon attractions that are under an hours drive from Salcombe, which makes it the perfect base. You know, just in case you get tired of panoramic views, fresh crab and long stretches of sandy beaches! Although Buckfast Tonic Wine has gained a loutish reputation in recent years, it was originally created in Buckfastleigh by French monks as a ‘pick-me-up’. The wine is no longer produced in the Abbey – rather at a new factory in Dartmoor – but you can still visit the beautiful abbey. If you’re looking for seasonal, organic food, Riverford Kitchen is the place to go. The vegetables and herbs used in the restaurant are picked daily from the nearby farm and field kitchen garden. Eating at the restaurant is a theatrical experience, with one sitting for each meal and a set menu of six to eight dishes that celebrate the seasonal produce. Riverford also holds events that cover everything from bread making to flower arranging. See their website for more information. Burgh Island is a small tidal island near the village of Bigbury-on-Sea. The island is closely linked with Agatha Christie and inspired her books ‘And Then There Were None’ and ‘Evil Under the Sun’, so it’s a great destination for lovers of literature. In low tide you can walk to the island from Bigbury-on-Sea but in high tide you have to take the hydraulic sea tractor to the island – an attraction in its own right. Warning – to visit the Pigs Nose Inn is to fall in love with the Pigs Nose Inn. The eclectic pub is located in the small village of East Prawle, which is around a 40-minute drive from Salcombe. Alternatively, you can walk to the Pigs Nose in under 90 minutes by jumping on the East Portlemouth ferry (a good option if, like us, you appreciate a cask ale or two!) 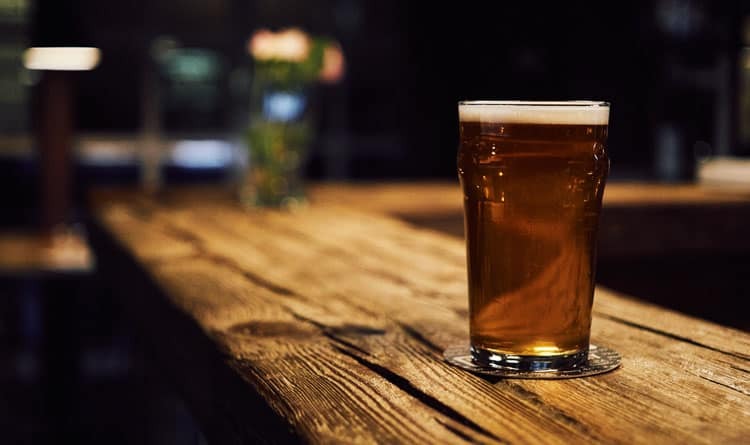 The pub is constantly topping best pub lists and is famous for its raucous evenings of live music. It even sells Pieminister pies for soaking up all those real devon ales and ciders! As one of the most haunted buildings in the UK, Berry Pomeroy Castle has its fair share of ghost stories associated with it. It’s said to be home to various restless spirits including The White Lady; the soul of Margaret Pomeroy. She was held captive in the castle dungeons by her own sister, Eleanor, because of jealousy and eventually starved to death in the dungeons. Don’t let this put you off visiting – just make sure you’re gone once night falls! You can’t come to South Devon without sampling the seafood available, but with so many dining options it can be hard to know where to start. If you’re looking for atmosphere, we recommend the Oyster Shack in Bigbury. The bright blue hut started out as an actual oyster farm – people used to bring a bottle of wine, pitch up their deckchairs and shuck their own oysters! Nowadays the shack is a little more established, with indoor and al fresco dining available. It also serves more than just oysters and welcomes children and furry friends. Love cider? You could do worse than take a tour or Hunts Cider Farm. 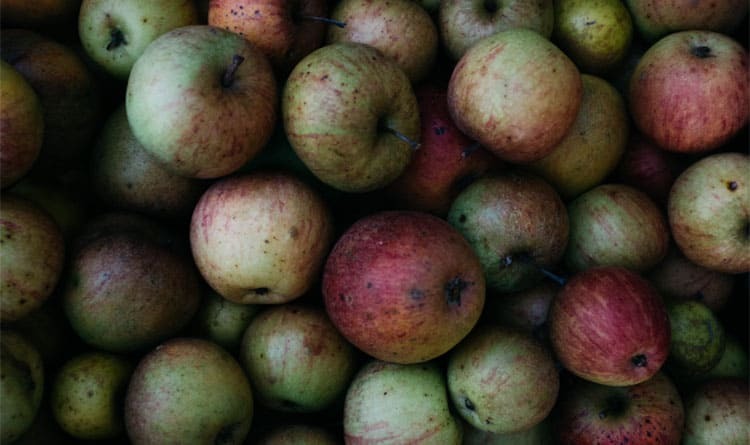 Located on the outskirts of Totnes, this 200-year-old cider business takes the juiciest Devonshire apples, presses them and ferments the bitter-sweet apple juice each autumn. The result? Crisp, refreshing, vegan, gluten-free and most of all authentic Devon cider. Take a tour then visit the shop for the best kind of souvenirs – drinkable ones. ‘Is Totnes the most eccentric town in Britain?’ asked the Telegraph at the start of this year. We’d argue that it’s definitely pretty high up the list. Totnes is known for its new-age vibe and artsy crystal shops, and this is no bad thing. Take a day trip to Totnes and you might find yourself at the UK’s only zero-waste grocery shop, spending the local currency or digging deep in one of the many vintage shops. Whether you’re planning on stopping off at the Totnes Rare Breeds Farm, Otters & Butterflies, or simply just sitting back and enjoying the scenic journey between Totnes and Buckfastleigh, the South Devon Railway is always a great day out. You can even book a traditional Sunday lunch or afternoon tea on the train – which is the perfect treat for parents or grandparents. As well as the beaches, locals and independent spirit, one of the things that makes Salcombe such a great holiday destination is its close proximity to a whole host of attractions in South Devon. Get in touch with us and start planning your Salcombe (and beyond!) adventure today.